List of potential contributors (who should all be eminent in the field) along with their affiliations. In case there are more than one Guest Editors in a special issue, one Guest Editor will serve as the corresponding Editor. The Guest Editor nominates authors to Bentham, and once they have been approved, invites them to submit papers for the special thematic issue which are of high quality in terms of science and presentation. final acceptance by ALL the referees of the modified manuscripts should be provided to the publisher. Guest editors take the initial decisions on the acceptance /rejection / revision and resubmission of manuscripts and relay the decision to the editorial office. In selected cases, the papers may be reviewed independently by Bentham and the publisher retains the right to accept or reject the manuscripts. Papers will only be published if they clearly merit publication on the basis of their originality and overall importance of results. Final editorial decisions on all Special/Thematic Issue submissions are generally taken by the Editors-in-Chief of the journal , but are subject to final approval by Bentham Open. The contributors should be eminent researchers able to give a current overview of the latest developments in the field. A Guest Editor/Co-Guest Editor may be an author or a co-author in only one manuscript. The guest Editor is also expected to write the Introduction to the issue. It is recommended that only eminent contributing authors are selected from different regions. An invitation to submit a paper to a special or thematic issue does not imply guaranteed acceptance for publication. Some submissions may be rejected. It is a condition of publication that manuscripts submitted to Bentham should not have been published and should not be simultaneously submitted or published elsewhere, and should conform to the ethical guide lines (see https://benthamopen.com/publishing-ethics.php). Guest Editors are required to convey the complete table of contents and the outline of the issue as well as the names and designations of contributing authors before the proposal is tentatively accepted (final acceptance being dependent on the review process). Guest Editors should inform the authors of the proposed time schedule for the Special Thematic Issue and if articles are not submitted in time to the Publisher than they may be eliminated. Our editorial policy requires a minimum of two single-blind reviews for submitted articles. Selection Criteria: A reviewer must hold a PhD degree and should normally have an h-index above 10. Reviewers need to be approved by the Publisher prior to sending the articles for review by the Guest Editor. Peer review of special/thematic issue papers should be conducted by eminent reviewers who are completely independent. Reviewers cannot be selected from the contributing authors or from among the Guest Editors. Final editorial decisions on all Special/Thematic Issue submissions will be decided by the Editors-in-Chief. Bentham Open may carry out independent peer review and reserves the right to reject articles on the basis of such peer review. An online submission and tracking service via Internet facilitates a speedy and cost-effective submission of manuscripts. 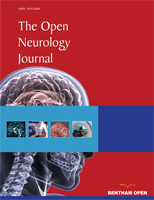 The full thematic issue has to be submitted online via Journal's Management System (JMS) at https://bentham.manuscriptpoint.com/journals/toneuj/ View Submission Instructions. When the referee reports have been received, the Guest Editors will be asked to make an initial decision, and where necessary, the paper will be sent back to the authors for revision. Once the Guest Editors have recommended to accept or reject a paper, the final decision will rest with the Editor‐in‐Chief. The editorial office will inform authors of the final status of the paper. Once the papers have been accepted by the Editor, they are then transmitted to the publisher’s production department. Proofs will be available online for the authors to review and approve before Online publication.